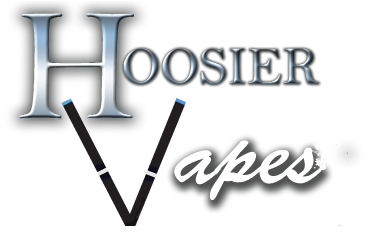 HoosierVapes is running a sale of 4 nice items. Rather then break them up ill present them all in one post. This sale is good until May 27th – Midnight. Here is fantastic deal on one of the original mass produced RBA’s. The Phoenix RBA isnt fancy but hits like a champ! 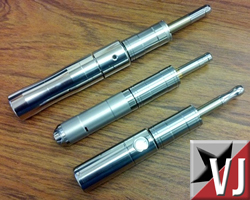 For less then the cost of a disposable atomizer – get an RBA! What is this… Super-T with a deal? Impossible! Yes! Super-T is running a deal on thier kicklet and kicklet combos! 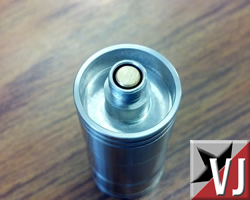 Seems the Sigelei Kick Clones and cheap Variable Wattage PCB’s are pushing prices down. The build quality on these are incredible. What is the Kiklet? 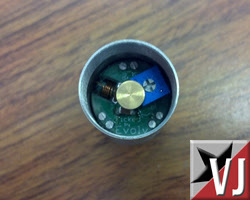 It’s a variable wattage screw on module that utilizes the Kick by Evolv. Kick sold separately. – No removing the Kick for each battery change (and tearing the protective plastic) and then having to fiddle with it again to get it in and make a good ground. Set it and forget it! – Almost instantaneous transfer from device to device. Kanger T3s are great but the replacement heads are expensive. 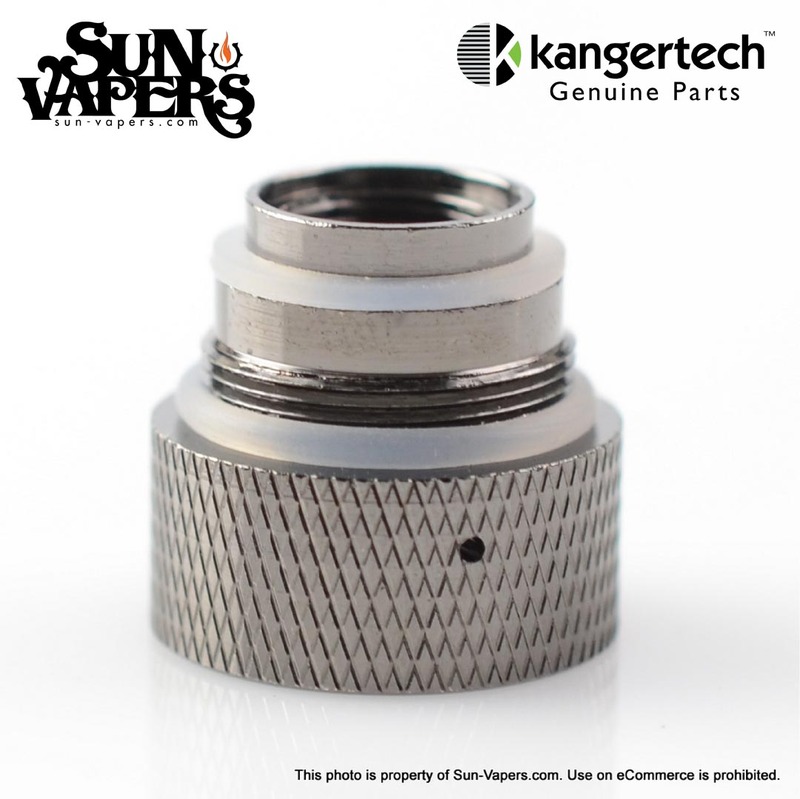 Sun-Vapers has an upgrade kit that your going to love. 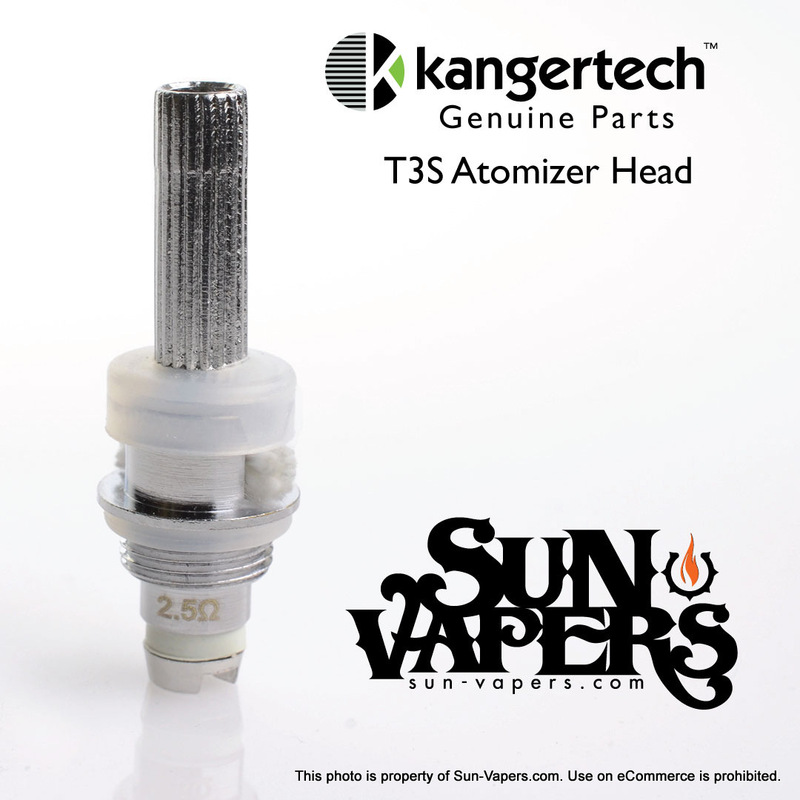 Its a new base and replaceable head system that fits both the T3 and the MT3. Instead of paying $2.99 per replacement, you now pay $7.99 for 5 replacements. Far more cost effective. This upgrade for your T3’s effectively turns them into the new T3S/MT3S coming out soon. 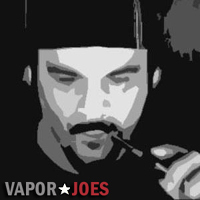 Vaporjoes has grown by leaps and bounds. Since the start we have moved in many different directions and wanted to catch the readers up on whats going on – where to find us – and the future of vaporjoes. Laying it out in simple terms. 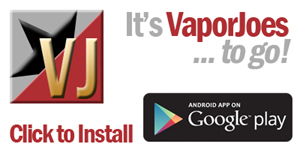 Vaporjoes Canada – vaporjoes.ca – Rolling out shortly! Modenvy.net – The vaping communities show! We are moving into the international communities bringing deals and news to the vapers north and abroad. For this we will need to bring on experienced vapers in their respective communities on board. We already have an established crew for Canada and are currently assembling a force to tackle Europe. As always we will continue to bring you the very best in deals and goings on in the vaping community. The K101’s have been live for a bit now, and they are selling out everywhere. These work exactly the same as the K100 but with a different look. These come with the drip shield. Here is an insane deal thats been around a few days now. The K100 aka The Chempire aka The Empire Clone is up at an incredible price! 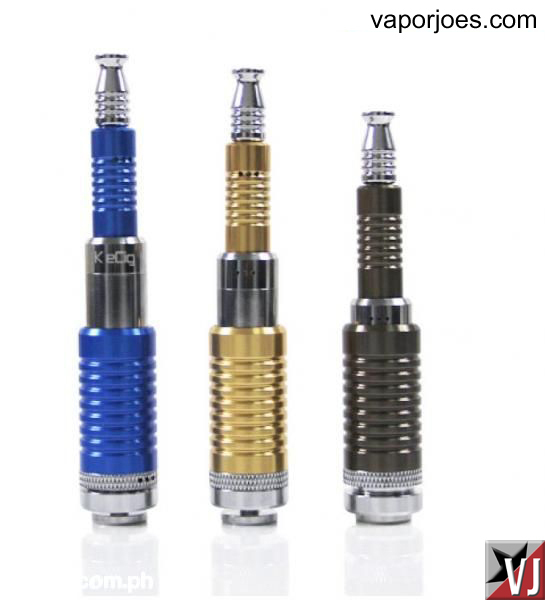 These come with the drip shield and drip tip. This is the lowest price I have seen for these mods to date. They also come with free shipping. Most people that use these, love them. The construction is solid and the voltage loss is minimal. Jump on them now before they are all gone! MaddCatt Vapors is running a great sale on juice. They are offering two 30ml bottles for $20.00. They have some GREAT juice and some of my personal favorites are Plasma, Frosty’s Mix, RYW4, and Schlam. I normally do not pimp Juice unless its extremely cheap or extremely good. I think in this case its a combination of both. They have over 100 flavors – try some out! Shipping is very reasonable! Vaportekusa comes out swinging with a great deal on the new Smoktech Pyrex DCT. 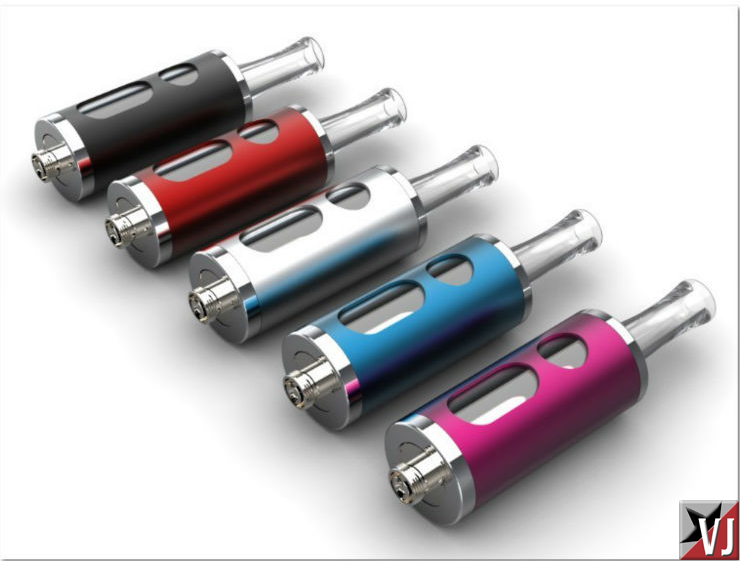 These are the first mass produced pryex / metal carto tanks to made. I own a few of these they are fantastic! Very nice quality. 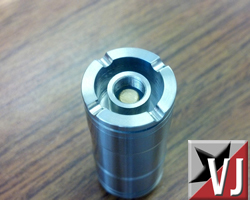 As of 5/23 this mod is back in stock! This is the china version of the GG. It is telescopic and can accept 18650 batteries, or smaller. There are also vent holes drilled in both the top and bottom portion. It is made from chrome plated brass, which makes it much lighter than stainless, and has good conductivity. We recommend using the Panasonic protected 18650 battery in this mod. This mod is not recommended for novice users. $26.99 – when you check out a coupon will automatically apply. This is a great deal on Evod LR replacement heads. 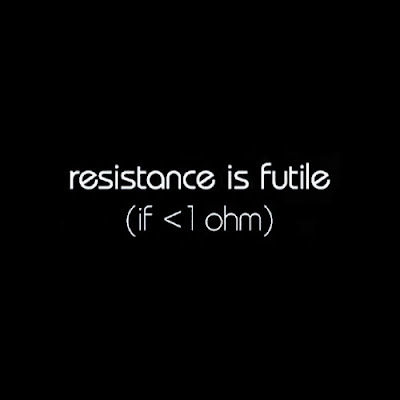 The LR’s tend to sell out the quickest, but its the only resistance they are currently selling. For $1.00 its a great deal. If your using evods and need LR heads – look no further.